Did you know that every day, over 10,000 Americans turn 65? According to http://www.ruralage.com/, of these, 1 in 4 lives in a rural area or small town. Often, communities like these are not equipped to offer services, resources, or activities to help keep residents connected. This may result in a decrease in quality of life and deep disparities in health for those 65 and older. According to the Centers for Disease Control and Prevention, the 65 and older population is projected to double in the upcoming 25 years. Research from the Rural Health Information Hub has shown that on average, rural populations are significantly older than non-rural populations in different parts of the U.S. The migration of younger generations to urban areas to seek better economic opportunity not only leads to a higher proportion of seniors in rural communities, but also contributes to social isolation. In other words, much of this generation is moving to urban areas which may result in leaving their parents and grandparents without any further family support. One challenge that older adults living in rural areas face include lack of transportation, which impacts medical appointments, grocery shopping, and recreational activities. Luckily, transportation has also become a priority in eradicating social isolation. Volunteer drivers and ride-share services can provide extended access to friends, family, direct healthcare and social services, all while decreasing the sense of loneliness and isolation. There are other concerns that impact seniors’ ability to stay in their homes, including housing quality and limited options for in-home health services or long-term care. Social isolation is defined as “a condition defined by the lack of meaningful relationships or social engagement.” It can be an issue for any age group, however seniors are at higher risk of social isolation due to retirement, being widowed, and health and mobility challenges that make it difficult to get out and about. Research states that social isolation is more harmful to health than obesity and similar to smoking at least 15 cigarettes a day. Over time and if untreated, it can also result in chronic disease, disability, cognitive decline and premature death. According to The Experts of WSJ, a group of industry thought leaders from the Wall Street Journal, the most effective strategy to eradicate loneliness and social isolation in older populations is to provide opportunities to volunteer and serve others, specifically in the younger generation. Studies from Harvard University show that older people who work with and mentor younger people were more likely to experience a sense of joy rather than despair than their peers who are not involved. Volunteers showed significant increase in physical and mental health, social engagement, decreased depression rates and enhanced senses of belonging. Recognizing these effects and solutions to social isolation is a step in the right direction towards its eradication. Health eVillages has joined with Tivity Health, the Tramuto Foundation, the MIT Age Lab and the Jefferson College of Population Health to help tackle the problem of social isolation in this country. 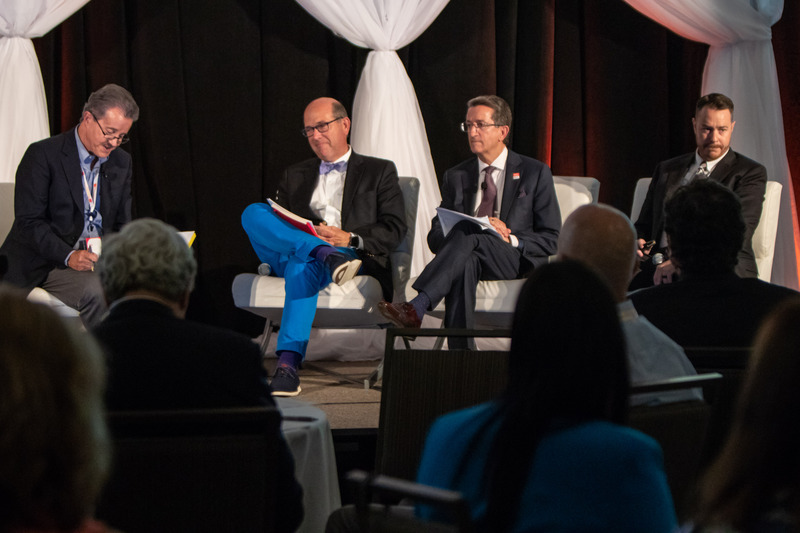 Each year, we convene numerous experts and stakeholders from multiple sectors to collaborate at an annual Connectivity Summit. One result of the 2018 Summit was the recent recommendations that were formally submitted to the U.S. Department of Health and Human Services advocating for the inclusion of social connectedness language in the Healthy People 2030 plan. The recommendation was co-submitted by 28 organizations, including Health eVillages. We look forward to announcing our 3rd Summit soon. This Summit will focus on demystifying “social determinants of health” to promote healthier aging in the 21st century. To learn more about rural aging and social isolation, please visit http://www.ruralage.com/social-isolation-and-loneliness/. ← Partner Spotlight – Skyscape, Inc.